>> The Skinny on Drinking Water, 6 Options from Best to Worst! 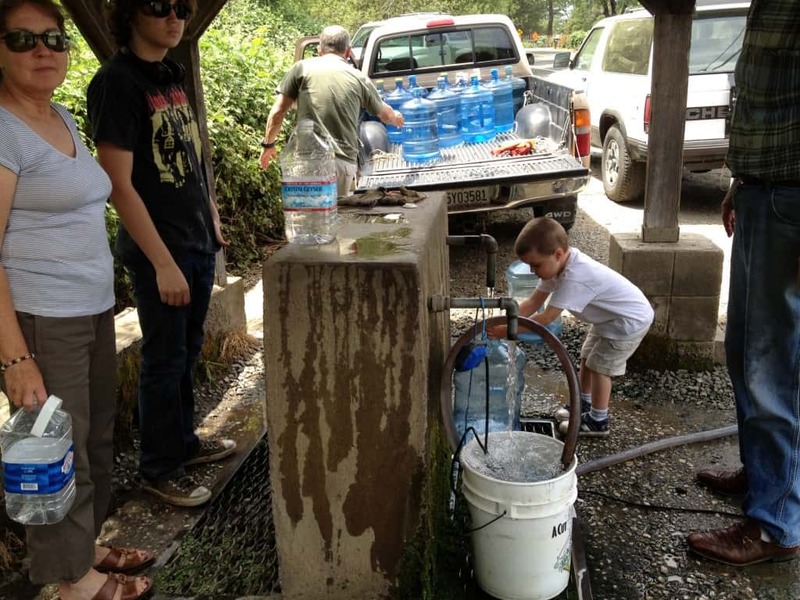 Locally Collected Spring Water – This is the most pure and delicious water. Spring water is “ripe” as far as water goes. It has lost enough heavy minerals to “spring” up to the surface of the earth. This is unlike well water, where the water is pumped up mechanically before it has lost it’s minerals, resulting in hard water that makes you brittle and can’t get into your cells very well. Spring water comes from deep aquifers underneath the bedrock. These aquifers are pretty much unpolluted. They are ancient lakes underground from before we started polluting the planet. Also, spring water still has it’s natural hexagonal molecular structure, which is the liquid crystal structure that slips easily into your cells, really hydrating you. Lastly, You know the idea of eating food from your local environment? Well, if at all possible, “drink local” also! Do your research and make sure your local spring is actually a spring and not an artesian well. Also, make sure it is the source of the spring, and not run-off from the spring, which can be polluted. It’s ok if it’s piped from the source down hill or something to a more accessible spot, such as the local spring in Sedona, AZ. To locate a spring near you, go to this amazing resource: http://www.findaspring.com The best way to store your collected water is in a glass container in a cool, dark place. Here is a short video of my friend Daniel, the FindaSpring guy, about spring water. Filtered Artesian Well Water – Artesian Well Water is drilled deep into the bedrock to extract water from those clean aquifers. It is pretty pure water, but is not “ripe” as is spring water. It will be highly mineralized. Find a filter that will remove some minerals without heating or breaking the crystalline structure by pressurized filtering, like reverse osmosis filters, which kill the crystalline structure. Revitalized Home-Distilled Water – The next best option, in my opinion, would be distilled water….let’s say local well water, that you distill at home, then revitalize. You never want to drink distilled water by itself unless you are trying to pull things out of your body. Distilled water is unnatural and is “hungry water” after having all it’s life and minerals boiled out of it. This does mean it’s pure, but you will still want to bring it “back to life.” You can do this by adding a pinch of sun-dried celtic sea salt to about a quart to re-mineralize it. We want a small amount of minerals to our water, best is under 50 TDS (total dissolved solids.) You can buy a TDS meter and test your water from any water source, if you want. Also, please vortex the water. You can do this by swirling around the water in a whirlpool in your container, craft a DIY water vortexer (google it), or buy a fancy vortexer. This helps return the water to it’s hexagonal molecular structure. 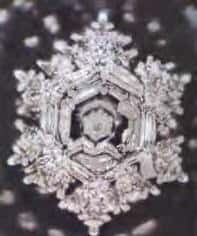 You can also add crystals of your choosing to impart their crystalline structure to the water. NOTE: Please don’t drink distilled water from plastic bottles at the grocery store. Water is a solvent, especially distilled, “hungry,” water. It will contain lots of chemicals from the plastic. Revitalized Reverse Osmosis Water – Here, you have relatively pure water, but it is coming from who knows where and may contain “memory” of old contaminants. It is also very unorganized like distilled water and will never truely quench your thirst unless you make it more “alive” again. You can revitalize it the same way as in the Revitalized Home-Distilled Water above. Home-Filtered Tap Water – Technology is always changing regarding what is the best filter to use. It’s pretty hard to filter out all the crap in tap water. I guess if you had a reverse osmosis filter and did the steps above to revitalize it that would be ok. Some whole-house filters can be nice, especially for showers. But really, just find a spring or an artesian well. Bottled “spring” Water – This will do in a pinch if nothing else is available, but please don’t drink it regualary. For one, it’s not really spring water. Because of a loop-hole in the law, water companies can call well water “spring water” if it’s taken from a certain distance from a natural spring. So it’s never “ripe.” Plus, water, being a solvent leaches chemicals from plastic, and it’s not water that’s local to you. And Ladies and Gentlemen, the WORST Water to drink is, you guessed it, TAP WATER! Tap water is almost always laden with all of the following: pharmeceuticals, chlorine, and flouride. You don’t want to be taking someone elses drugs, niether does your liver. Chlorine is a toxic chemical. When water is heated that has chlorine in it, it creates inhalent carcinogens. SO GET A SHOWER FILTER RIGHT NOW IF YOU SHOWER/BATHE IN TAP WATER. Flouride calcifies your pineal gland and makes you stupid. It was used in concentration camps to “dumb-down” the people. Google it. I guess if you really want to get sick, you could drink from a river or even worse, a pond or swamp…. Ha Ha! So there you have it. I hope this puts to rest some of the debate. For more in depth information about Water, please see this amazingly inFORMATIVE video series (three 15 minute videos) by my friend, Daniel Vitalis, Health Visionary, founder of Surthrival.com and inspiration behind FindaSpring.com. Did you like this article? Please share on Social Media with friends and family, so they can learn about water. Please leave a comment below about your biggest insight learned here or any questions. Let the community know which water option you’re ready to try by posting below in the comments section. Do you want more great information like this reliably delivered to you? Sign up below for the Blessed Wellness newsletter, sent about once a week. You’ll get a free goodie too! Thanks for reading. To your Blessed Wellness!